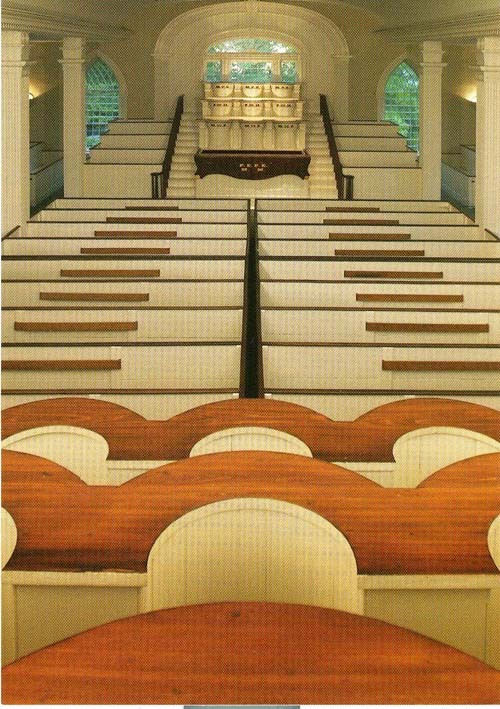 Located on the west end of the first floor are the Melchizedek Priesthood pulpits. The Melchizedek Priesthood pulpits represent the line of authority in the Melchizedek Priesthood. 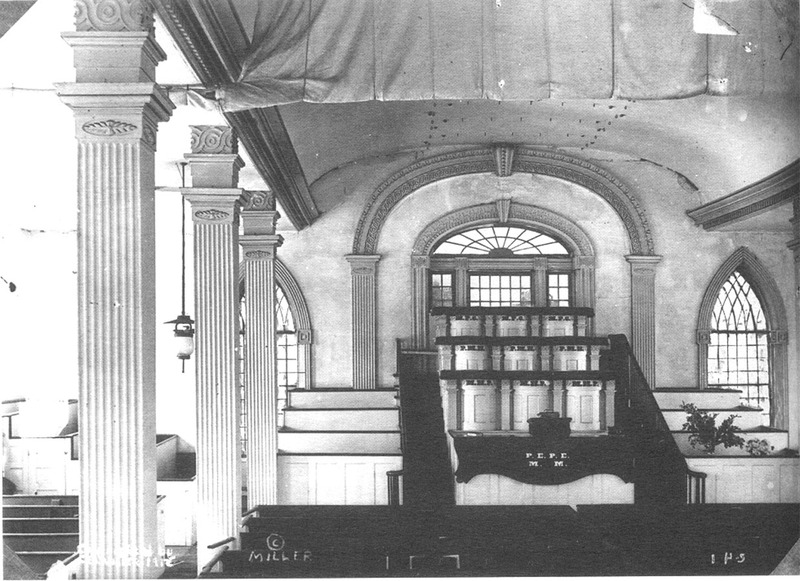 Across the front of the pulpits is a folding sacrament table shaped like an oxen yoke. The initials P.E.M. on the table stand for Presidency Elders Melchizedek (Elders). The first set of pulpits beyond the sacrament table have the intials M.H.P. standing for Melchizedek High Priesthood (High Priests). 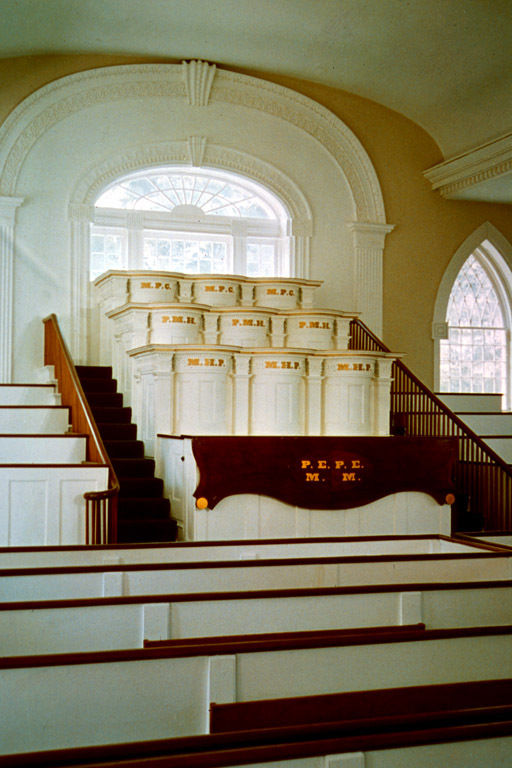 The last set of pulpits have the initials M.P.C. and represent Melchizedek Presiding Council (First Presidency). On April 3, 1836, Joseph Smith and Oliver Cowdery dropped the veil that separated the pulplits from the rest of the room and offered prayer. In response to that prayer, one of the most important events of the restoration took place. 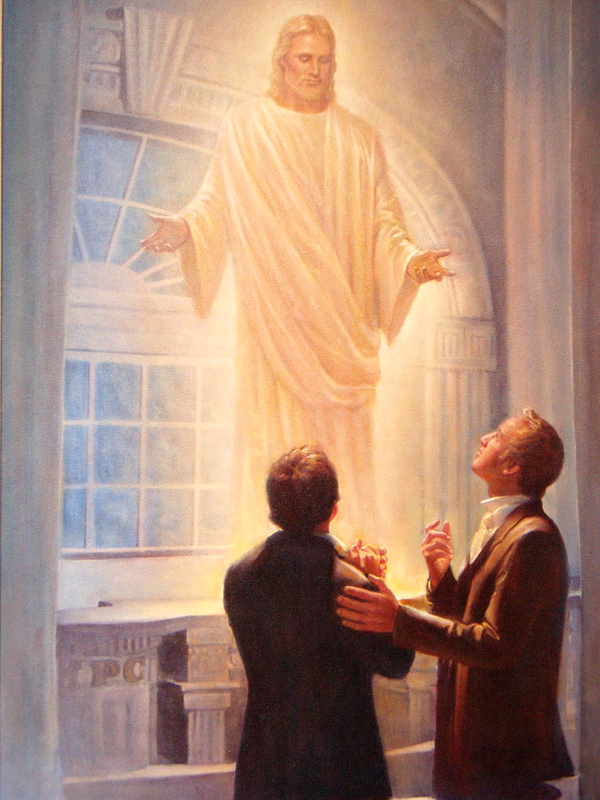 First, Jesus Christ, calling himself Jehovah, appeared. After his appearance, Moses, Elias, and Elijah appeared committing the necessary keys to perform temple ordinances (see D&C 110).